Three Red Cross volunteers from Iowa traveled to east Texas on Wednesday to help the small town of Van recover from the EF3 tornado that touched down there Sunday night. Two people were killed and more than 40 others were injured in the tornado that struck Van, Texas. 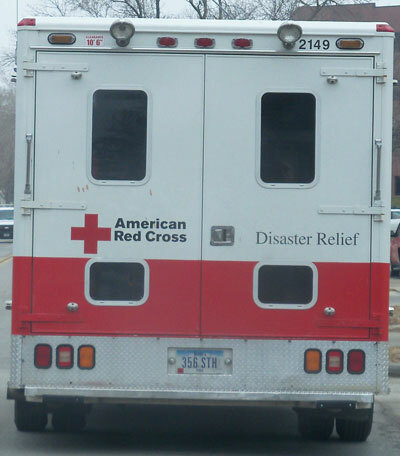 The Red Cross volunteers from Iowa who were sent to Texas to help are Rich and Carolyn Newkirk of Ankeny and Stewart Coulson of Charles City. “The Newkirks, this is actually their third deployment since the end of March,” Kelly said. “They went to Oklahoma in late March and then to Fairdale, Illinois last month.” Kelly expects more Red Cross volunteers from Iowa could be sent to Texas over the next couple days. Around 70 tornadoes were reported in the Midwest and Plains states over the weekend — including an EF1 twister that hit Lake City, Iowa. 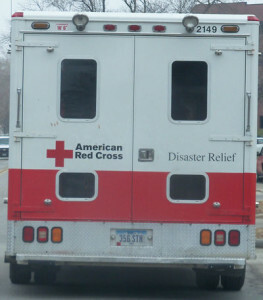 Red Cross volunteers were also sent to that town located in Calhoun County.